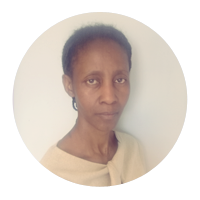 I am Ntabiseng, the Sales Representative for LTC. Ntabiseng means, “make us Happy”. I believe, I am following my name well as I make my clients happy on a daily basis by selling language packages to them and contributing to their language skills. I have been with LTC from April 2017 and I love my job and not even the sky is the limit, there is always room for better and greater sales opportunities. I like to have fun by watching my favourite series, Uzalo and visiting with WOF (Woman of Faith) at my church.